A federal High Court in Abuja has denied Former National Security Adviser Sambo Dasuki, former Director of the Nigeria National Petroleum Corporation, Aminu Baba Kusa and Director of Finance and Administration in the Office of the NSA, Salisu Shuaibu, bail. Their bail application came up for hearing this morning. 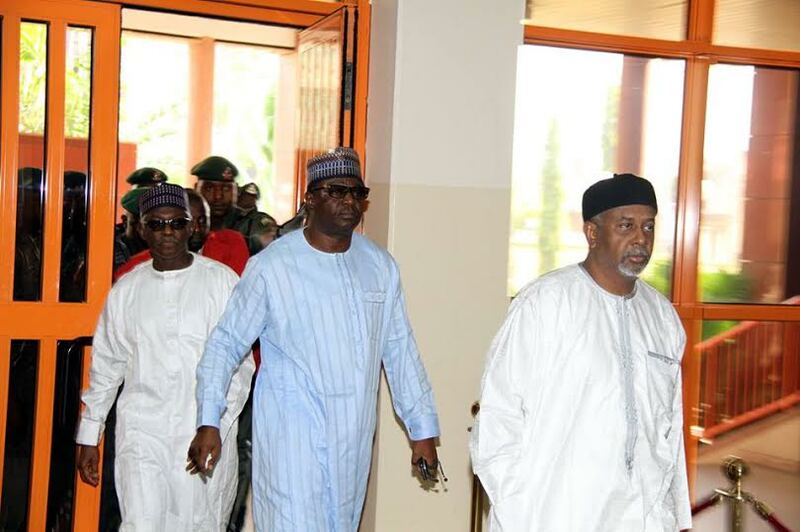 After arguments between the prosecution and defence counsels, the presiding judge, Justice Yusuf Sani adjourned the bail application hearing till Friday December 18th. They are to be remanded in EFCC custody till Friday.